Agronomic Acumen is a consultancy firm that specialises in agronomy and is based in Albany, Western Australia. 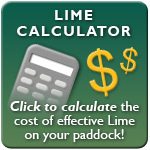 We provide various services that include regular paddock/field inspections, development of paddock plans, one-off farm visits for advice, talking to groups, giving seminars and providing a completely independent view on why your chemical product is not selling or what should be done to make it a best seller. We also publish a monthly newsletter, back issues of which are available here for download. 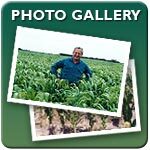 We manage farms for investors and land owners who want maximum sustainable profits using the best agronomic techniques. We are also able to manage your farm if you just want a break or are having trouble keeping up with the rapid change of agriculture. Please click one of the buttons along the top bar or side for more information. You may find some useful links that we visit regularly. Please browse the photo gallery for some recent photos of warm season crops in the Great Southern region of Western Australia. Lemat (omethoate) is allowed to be sprayed fence to fence again. Old registered uses of using it, or dimethoate, on the seed is discussed, and trialling it in-furrow in the liquid stream at sowing. Butafenacil update - prices and use rates. Malting barley update on Planet and Banks. How to grow >10t/ha Planet barley. Ramularia leaf spot - this mainly barley disease is spreading. Discussion on its significance and how to control it. New products - many new products are available in 2019 or 2020. Comments on what they are good at. Did Velocity or Talinor herbicides fail in 2018? - Discussion on widespread failures in 2018. Atrazine resistant radish - it has an achilles heal we can exploit. Herbicide brews - 6-pages of suggested brews for pre sowing and post-emergent on crops.